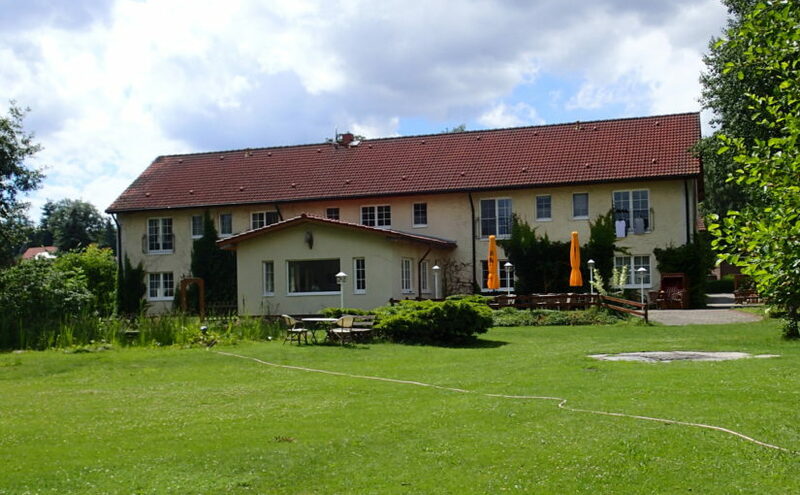 The family-run Dorotheenhof lies in the quiet, attractive village of Mescherin, in the most northeastern corner of Germany, where the Polish border northbound moves away from the Oder river. It is near the road to Gryfino (German: Greifenhagen). The Dorotheenhof has a restaurant, a large garden adjoining the river and offers apartments and spacious rooms. Hint: Try to pick a room with views over the Oder, if possible in the southern part of the building, away from the bridge over the river and Kutscherkneipe gastro-pub. Breakfast buffet at Dorotheenhof in Mescherin. uffet was well stocked, in a light-filled room with access to the gardens. Our room was spacious, clean and had a good sized, bright bathroom. All the windows were fitted with fly screens. In the corridor above, there was a large refrigerator for guests, from which one could take drinks (to be paid at check-out). The pension gardens and two landings on the Oder are quiet locations, inviting to linger, the landings have ladders if for those who want to dip into the Oder. Some guests were fishing here in river. 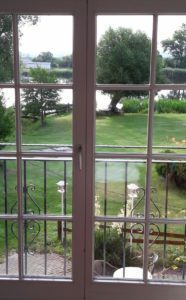 View from the first floor room to the Order river. The influx of Polish Families makes Mescherin a pretty and lively village. The Mescheriner mountain offers beautiful views over the village and the Oder valley up to Gryfino and beyond. There is now also an observation tower just north of the L113 main road, to see the nature reserve and the reeds. 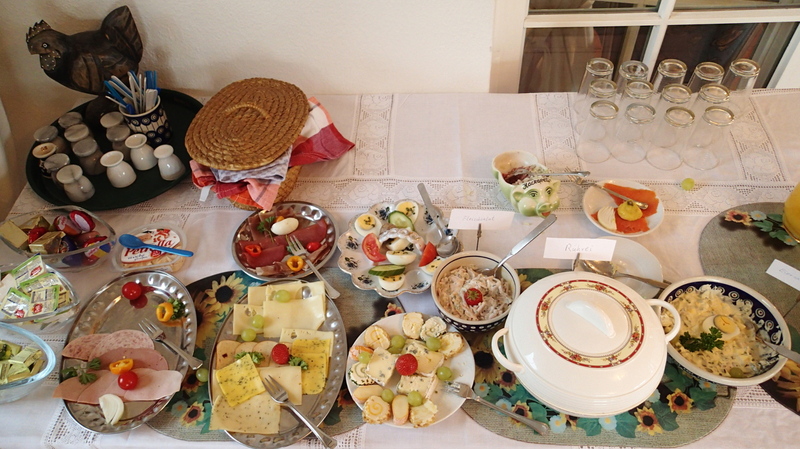 For dinner, we felt very comfortable in the “Altes Zollhaus”. Our double bedroom (with shower & WC) cost € 70 / night inc breakfast.